Only two of the many roads which honeycomb Canyonlands are paved, and then only for a short distance. Utah Route 313 enters the park at the Island in the Sky region and continues past the Visitor Center, forking after bout 5 miles beyond the Shafer Canyon Overlook. To the left, travel 5 miles to Buck Canyon Overlook then Grand View Point Overlook before the pavement ends. To the right, the pavement lasts 5 miles before ending near Whale Rock and Upheaval Dome. Utah Route 211 enters the park at The Needle region, travels past the Visitor Center and Roadside Ruin, before the pavement ends 5 miles later at Big Spring Canyon Overlook. There are extensive hiking trails in the park, providing opportunities for short walks, half or full-day hikes, or backpacking trips lasting a week or more. Lack of water is a limiting factor, and hikers should carry plenty (one gallon/four liters per day per person). Pets are not allowed on hiking trails. No permit is required for day hiking. Permits are required for overnight backpacking, and advance reservations are recommended. There are hundreds of miles of four-wheel-drive roads in Canyonlands, ranging in difficulty from intermediate to extremely technical. Most roads involve negotiating stretches of steep slickrock, deep sand or even water. Four-wheel-drive vehicles and motorcycles must stay on established roads. Vehicles and drivers must be "street legal." ATVs are not permitted. Pets may not accompany groups on four-wheel-drive roads, even in a vehicle. Overnight backcountry camping with a vehicle is restricted to designated sites and permits are required. Permits are issued at visitor centers and may be reserved in advance by mail or phone. The massive sandstone towers of the Island in the Sky District attract the most rock climbers. Little climbing is done in the rest of the park due to the poor quality of the rock and a lack of established routes. Permits are not required for technical rock climbing unless it involves an overnight stay in the backcountry. Climbing on natural arches is prohibited (except for Washer Woman Arch) and climbing is not permitted in the Salt Creek Archaeological District in the Needles. All climbing must be free or clean aid climbing. If unsafe, existing bolts or other hardware and software items may be replaced. Chalk and webbing left at permanent anchor points should closely match the color of the rock. The use of motorized drills, chiseling and the gluing of holds are prohibited. If you bring your horses with you, you may take them on all backcountry roads. A permit is required for both day and overnight use, and special pack and saddle stock regulations apply. Pets may not accompany groups into the backcountry. There are no commercial horse trips in Canyonlands National Park. Day use with pack and saddle stock is allowed on the west side hiking trail in Horseshoe Canyon and on all backcountry roads. A free day use permit is required for horse access into Horseshoe Canyon. Contact the Hans Flat Ranger Station at (801)259-2652 to obtain this permit. Permits are required for all overnight trips with pack and saddle stock, and also for day use in Salt Creek/Horse and Lavender canyons in the Needles District. Visitors camping with pack or saddle stock must stay at the designated backcountry vehicle campsites. Horses, mules and burros are the only animals considered pack and saddle stock. Other domestic animals are prohibited in the backcountry. Stock must be fed pelletized feed for 48 hours in advance of and during a trip in order to prevent the spread of exotic plant species. Animals may not be left unattended and must be staked at least 300 feet away from water sources and away from vegetation where possible. Grazing and browsing are not allowed. All manure and feed must be removed from the backcountry and packed out. The group size limit for overnight use is seven people and ten horses for the Needles and Island in the Sky, and five people and eight horses for the Maze and Orange Cliffs. On the Orange Cliffs mesa top, above 6,000 feet, cross country travel and at-large overnight camping with saddle and pack stock is allowed. The pelletized feed policy still applies. Day use requires a free permit, while overnight trips require an at-large backpacking permit, which costs $10. Both permits may be obtained at the Hans Flat Ranger Station. The Colorado River is famous for its rapids, and the challenging Cataract Canyon is located within the park. Above their confluence, the calm waters of both the Green and Colorado rivers attract boaters seeking a more peaceful journey. A permit must be reserved in advance for overnight trips canoeing, kayaking or rafting both the white water and calm water sections of the Green and Colorado rivers. Guided trips are also available. Within Canyonlands National Park, only the muddy waters of the Green and Colorado rivers contain fish. About 99 percent of these fish are exotic species, predominantly carp, catfish, sand shiners, red shiners and fathead minnows. While no special use permit is required to fish in the park, visitors must have a valid Utah State fishing license and must comply with all state fishing regulations. Small populations of native fish still exist in the park. Due to resource development, competition with non-native species and a variety of other factors, native populations have declined and continue to struggle in the Upper Colorado River Basin. Colorado squawfish, razorback sucker, humpback and bonytail chub are endangered and may be found in the park's waters. Visitors should become familiar with these endangered fish and the proper techniques for releasing them unharmed. If you are unable to identify a fish, please release it back into the water alive. 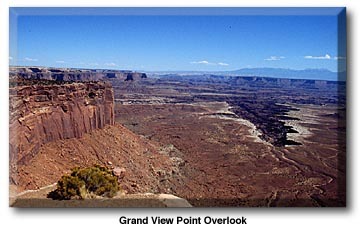 Canyonlands is famous for its mountain biking terrain, especially for the White Rim Road in the Island in the Sky District. There is no "single track" riding in the park as bikes are not allowed on hiking trails; bikes must remain on established roads. Many four-wheel-drive roads in the park travel up wash bottoms and are unsuitable for bikes due to deep sand. Bicycle parties must use designated campsites. Reservations are highly recommended for permits to camp along the 100 mile White Rim Road, as sites often fill many months in advance. A support vehicle is recommended for all multi-day bike trips. The Moab/Arches area is famous for its mountain biking. There are many excellent bike trails here, most notably, the Moab Slickrock Bike Trail. The Slickrock trail is a 10.3-mile loop trail which takes about half a day. The trail starts on Sand Flat Road, 2.3 miles from the BLM Grand Resource Area Office. The trails offers great biking challenges and magnificent scenery. The practice loop is 2.3 miles and provide an introduction to biking on slickrock. This trail is rated hardest. A 13.2 mile easy loop which starts from the Moab visitor center at the north end of town. Drive north on US 191 for 14.8 miles. Turn left onto a dirt road that crosses the railroad track just before the railroad bridge. Follow the dirt road for 0.6 miles to an intersection which is the starting point and ending point for this loop. The trail follows a jeep trail, wash bottom and slickrock. 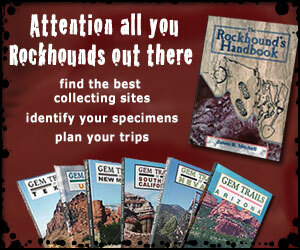 It features close views of the Monitor and Merrimac buttes, Determination Towers, and the Mill Canyon Dinosaur Trail. A 20.3-mile point-to-point ride starting on Highway 191, 12.5 miles south of Moab. The trail follows a jeep road and provides the opportunity to view the scenic Behind the Rocks area and several large natural arches. Like the Gemini Bridges ride (below), the start of the route is at a higher elevation than its ending point. A 13.5 mile point-to-point ride on a dirt road. The trail begins on Highway 313 at a point 0.9 miles west of the Mineral Bottom turnoff (12.6 miles west of the Utah 313/US 191 junction). The Gemini Bridges, a pair of natural rock spans, colorful rock formations and the spectacular views of Behind the Rocks are the main attractions of this trail. A 33-mile round trip starting at the junction of Highway 191 and Kane Creek Boulevard in Moab. The ride is over paved road and graded dirt road and features views of the Colorado River, petroglyphs and scenic canyons.